Tools to get the job done faster. From time tracking to robust reporting, recurring billing to multiple user support, Bill Flight is one of the most powerful billing solutions on the planet. 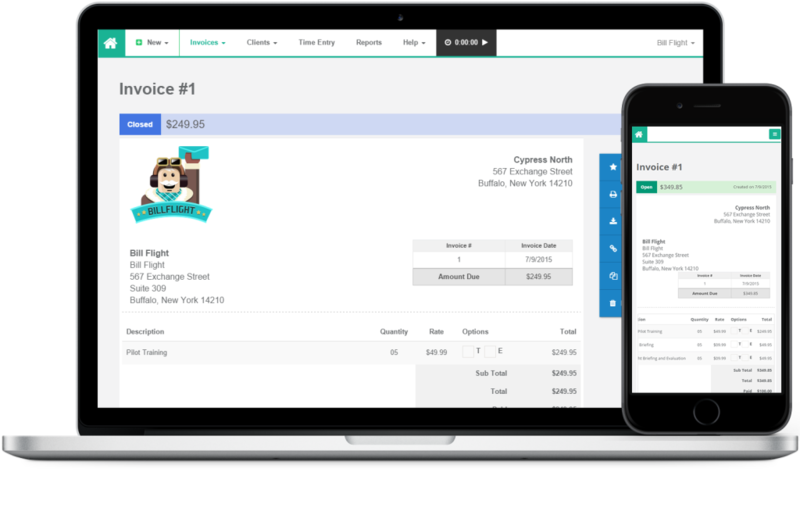 This software was built to be a one stop invoicing shop that keeps you doing what you do best: working. Invoices from Bill Flight are robust yet easy to use. We created an eco-system that allows for easy line item editing, ultra-fast duplication and the ability to change whatever you need. We believe that creating invoices shouldn’t be hard and shouldn’t be a chore. So, we made our software appropriately powerful to let you get the tasks you need done quickly and easily, without bogging you down. Hey, you’re on a device right now. Look, it has an internet connection. Fantastic! You are optimized for Bill Flight – now you just need an account. At Bill Flight, we don’t cramp clunky software down your throat or force-feed you update after update. Just login on any device and begin billing! Have a need for numerous accounts? No problemo. Each Bill Flight paid account allows for multiple users, and therefore the most ultimate synchronicity. Adding and removing users is simple, and our Admin tool makes viewing who has access a breeze. While we enjoy our interactions with you, we’d rather you be working on new revenue opportunities. 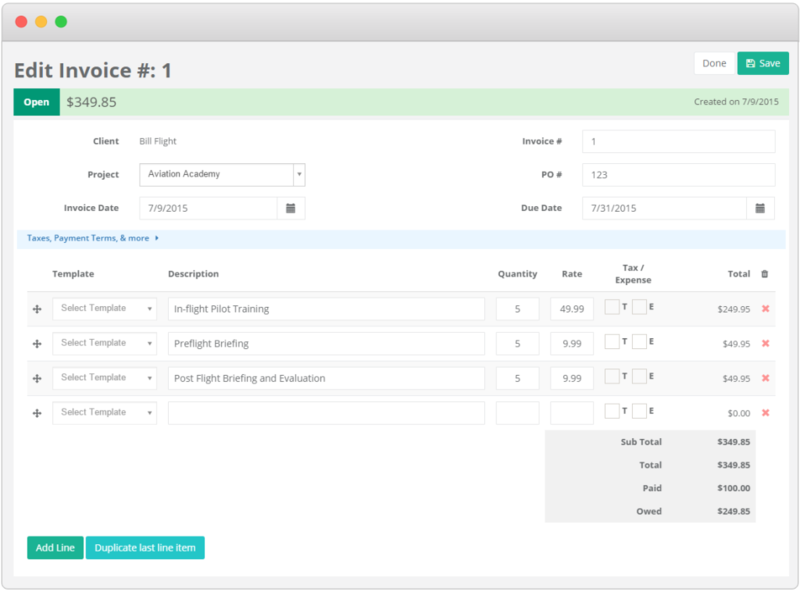 Our recurring billing feature allows a user to quickly turn an invoice into a recurring bill that can be set on a daily, weekly, monthly, or yearly basis. All you have to do now is cash those checks as they pour in. As long as you have an internet connection, you’ll be able to amass invoices. A specific software or device type isn’t important since Bill Flight requires no downloads and is accessible from any web browser. Just create an account and you’re good to go! Separate invoicing software for Mac and PC isn’t necessary. With Bill Flight, you can have it all! Bill Flight works across all major web browsers so you aren’t tied to a specific operating system. Just fire up a browser and start sending bills. All users on your team will have the same experience, regardless of the logo on their computer. Use Stripe? Connect your account and let your customers pay their invoices instantly with a credit card. Yes, it’s that simple.